This summer, I haven't been in a big thrifting/rummage saling kind of mood. Someone check my temperature!!! I guess it goes in phases for me. I did have one surge of thrift craving recently, and spent more than I've ever spent in a thrift store (which is steal el cheapo!). I made quite the haul, which has quenched my craving for weeks. 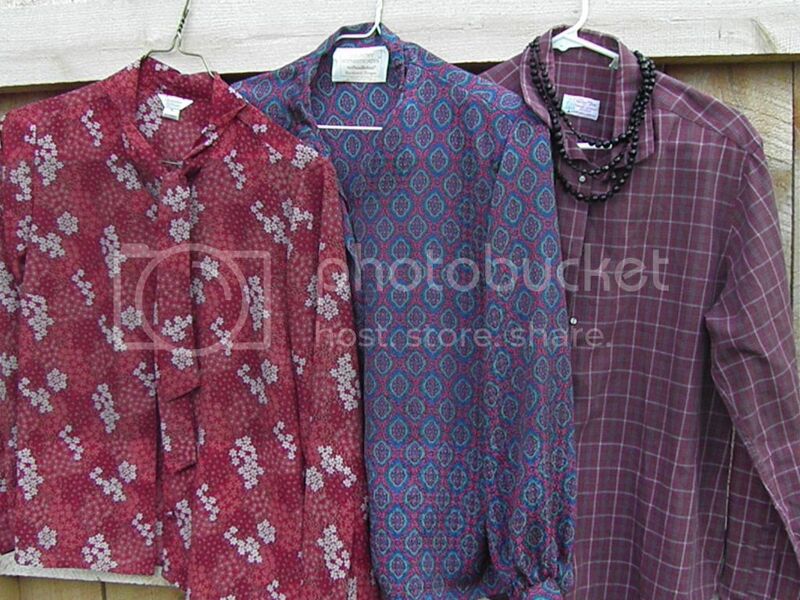 These three blouses will be perfect for the fall. Their colors, patterns and coverage speak to the changing seasons. I can't wait to pair them with skirts and tights. In fact, let's play dress-up right now and put a few outfits together. I just couldn't wait! 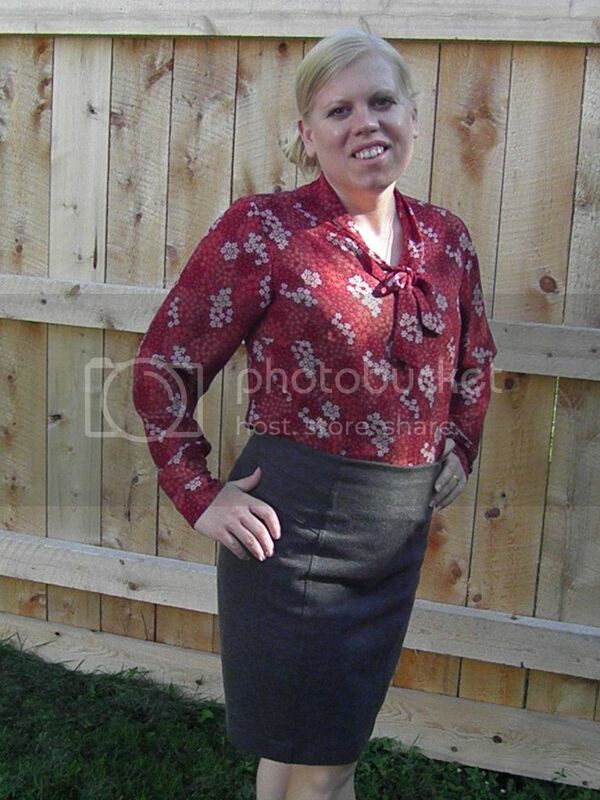 I love the tie and pattern on this vintage blouse. I bought the skirt that same day. It was a name brand made with high-quality stretchy fabric, and I didn't even have to brave the mall. Score! I just fell so hard in love with these shoes, that they had to come home with me. They were a little pricey for a thrift store, but they were brand new, so into my cart they went. The southwestern belt paired with the plaid shirt is super-cute. 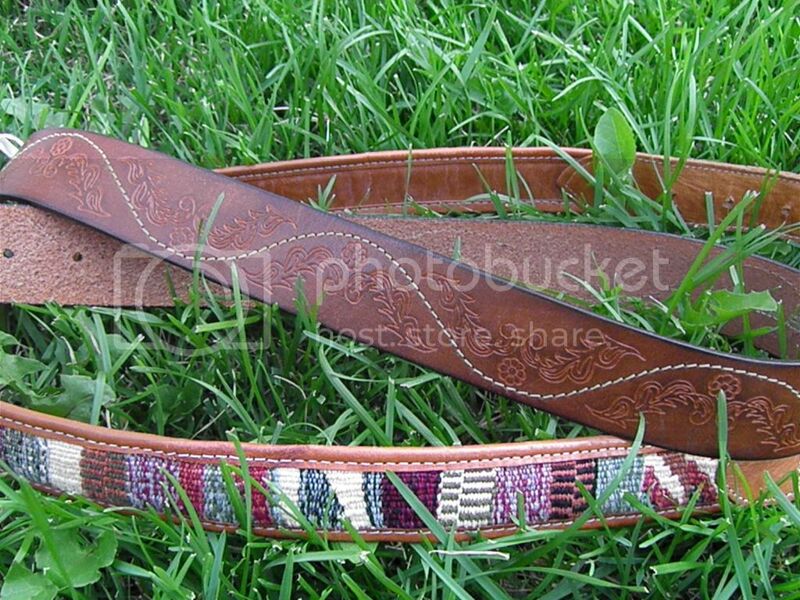 The two belts that I found just make me swoon. The leather one has the coolest design in it. I also came away with two other pairs of shoes. I am always very picky and careful with secondhand shoes. I will not buy anything worn. I rarely even venture into the shoe section, but the three I found were all in unworn condition. It's pretty amazing that I found three brand-new pairs that I loved and fit me in the same day. Oh, that felt so good. A whole new fall wardrobe for under $40. I can live with that. This was one of the best thrift shopping hauls I've had in a long time. If you're curious to try out a new thrift shopping adventure, check out my thrift shopping guide for mommas on a budget Part One and Part Two.